Question: Who can add a child? Q1. What is HealthHub and what is it for? HealthHub is a new one-stop health portal that is designed to meet your healthcare needs in one convenient, easily accessible web portal. Q2. How is HealthHub organised? o Sexual Health & Relationships. o Support Groups & Others. Directory gives you a peek into the public medical and lifestyle facilities available across Singapore. Rewards are where users can earn HealthPoints upon signing up for accounts or by sharing articles, events or related information. MyHealth is a page which contains your personal health records as well as upcoming medical appointments. Q3. What are the browsers supported by the HealthHub website? This website is supported by the following browsers: Chrome 30 and above, Android OS browser on Android OS 5.0 and above, Firefox 27 and above; IE 11 and above on Windows 7, Windows 8.1 and above, Opera 17 and above, Safari on OS X 10.9 and above and iOS 5.0 and above. Q4. My HealthHub account is locked. 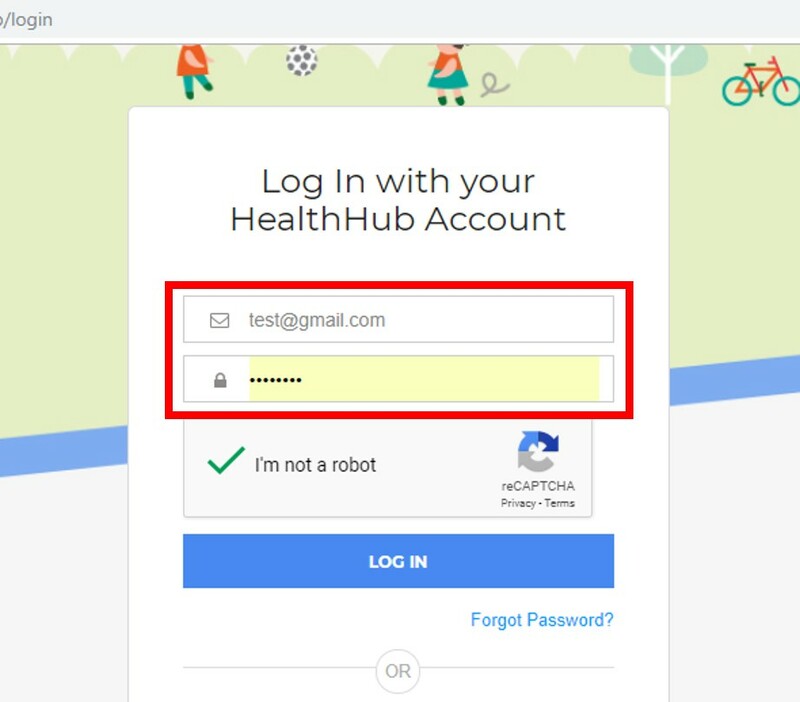 Your HealthHub account has been temporarily locked as a part of our security feature. This happens when the allowed number of unsuccessful sign in attempts has been exceeded. The lock will be lifted after 24 hours from the time the account is locked. Q1. Who wrote these articles? Are they doctors? The articles are written by media experts and vetted by medical professionals including doctors and specialists. All information is accurate at the time of publication. Q2. When will you bring new material in? HealthHub is updated very regularly. Our editorial team is also working very closely with medical professionals (including those from various hospitals and health programs) to bring you latest information on health topics which are currently trending, as well as announcements of news and events. Q3. Why create this resource now? We wish to equip Singapore citizens and Permanent Residents with the resources and subject knowledge to manage their own health. Besides helping Singaporeans make informed decisions about their health conditions, HealthHub gives you greater control of your healthcare and more flexibility in the support you receive. Q4. Can I consult HealthHub instead of a doctor? If you have major medical concerns, please consult your doctor or dial 995. Q5. Will there be future updates as time goes by? Yes there will be. Please stay tuned to our Facebook page for updates and more information. Q1. Who can I approach to publish my health-related event? Q2. 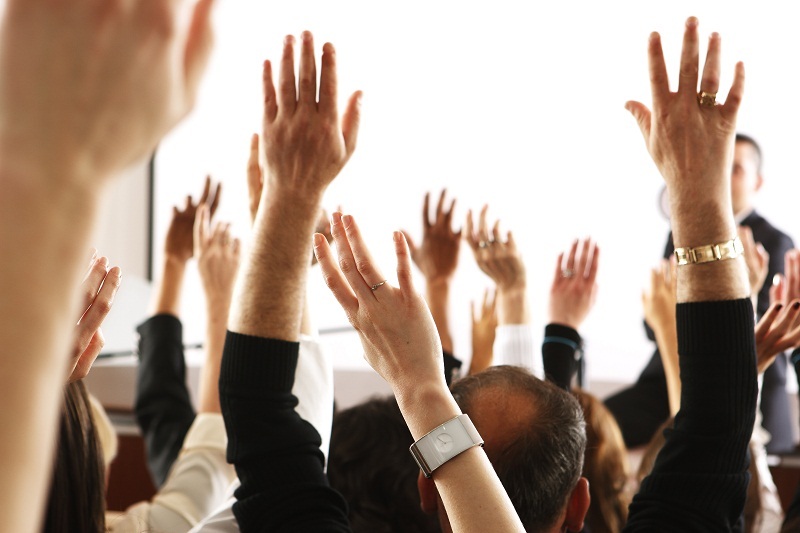 What sorts of health-related events do you publicise? Can you mention my company events? HealthHub is a public service and to promote healthcare to a larger span of Singaporeans we publicise events from Government or Government-linked institutions. Healthpoints (HP) is the currency that you can earn by being an active member on the Healthy 365 (H365) and HealthHub apps. Refer to http://www.healthhub.sg/rewards for more information on Healthpoints. Q2. Who are eligible to earn Healthpoints? Q3. How can I earn Healthpoints? Start by setting up a Healthpoints account on HealthHub and be awarded with your first 150 Healthpoints. Earn more Healthpoints by sharing articles and events on HealthHub or by participating in HPB programmes such as the National Steps Challenge and Eat Drink Shop Healthy on the Healthy 365 app. Q4. Can I earn Healthpoints by sharing an article/event/app via email? Q5. Is there a limit to the number of Healthpoints that I can earn? / What is the maximum number of Healthpoints that I can earn? Yes, there is a limit per month. For every article, event or app shared, you will receive 20 Healthpoints. Each month, you can earn up to 100 Healthpoints for sharing articles, another 100 Healthpoints for sharing events and also 100 Healthpoints for sharing apps. ​This way, you can earn up to a total of 300 Healthpoints every month. Q6. I have shared the same article/event/app via Facebook before but why am I not earning Healthpoints now? ​Healthpoints are only awarded for every unique article, event or app shared on your Facebook. Q7. I have shared an article/event/app via Twitter but why am I not earning Healthpoints? Q8. 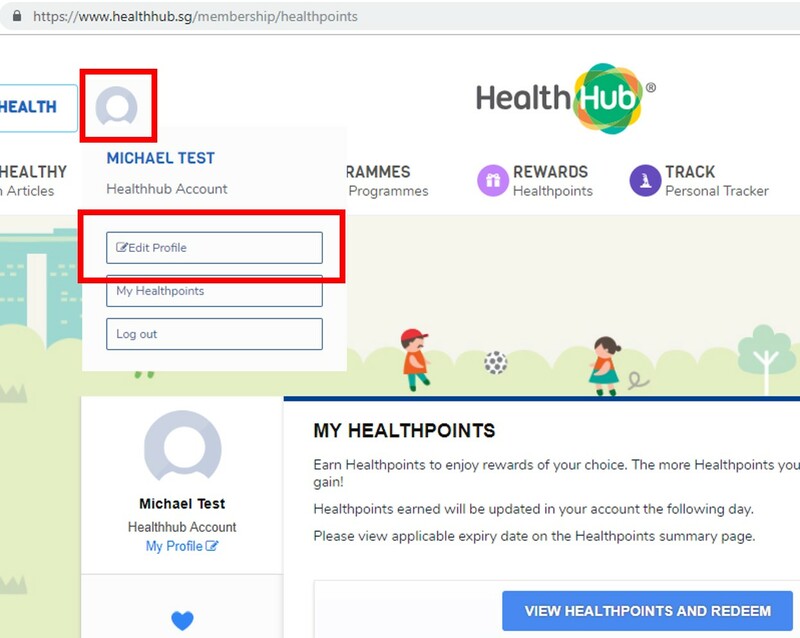 Can I earn Healthpoints in HealthHub if I do not sign up for a Healthpoints account? Q9. What can I use my Healthpoints (HP) for? Q10. Are my Healthpoints immediately credited to my Healthpoints account? Q11. Can I view the history of my Healthpoints that I have earned in HealthHub? Yes, you can view it under your Activity page on www.healthhub.sg/rewards. Q12. Can I view the history transaction of my Healthpoints that have been redeemed? Yes, simply go to Healthpoints Summary and check your Redemption History on the Healthpoint Rewards to view details of your transactions. Q13. How do I check my Healthpoints balance? Q14. Can I change my mind after I have redeemed my Healthpoints? Q15. Is there a minimum amount of Healthpoints I can redeem? Redemption for HPB vouchers (available in printed or digital voucher format) and Merchant e-Vouchers require a minimum of 750 Healthpoints. Redemption for TransitLink requires a minimum of 150 Healthpoints, equivalent to $1 TransitLink e-Voucher. This option is available to all users who own a valid TransitLink card (e.g. EZ-Link, NETS FlashPay, Concession Cards). For redemption of PAssion TapForMore (TFM) points, there is no minimum requirement. Q16. How do I know if my redemption is successful? Q17. What are HPB Vouchers? Q18. Where can I use HPB Vouchers? Q19. Are there any restrictions on where the HPB Vouchers can be used at? Q20. When do HPB Vouchers expire? Q21. How can I receive my HPB Vouchers? HPB e-Vouchers will be credited directly into your Healthpoint Rewards e-Wallet once redemption is successful. ​For printed vouchers, you may choose to receive via postal delivery or self-collection. If you have selected postal delivery, do allow up to four weeks for your vouchers to be posted to your designated delivery address. An SMS notification will be sent to you once your vouchers have been mailed out. Q22. How can I self-collect my HPB vouchers? You may collect your HPB vouchers personally or authorise a close one to collect for you at the self-collection centre at 77C Duxton Road, Singapore 089536 (Mondays to Fridays, 9am – 6pm, excluding Public Holidays). Whether you are collecting personally or someone will be collecting on your behalf, do remember to bring along original copies of official identification documents (NRIC, Driver'​s License, Work Permit, Student Pass etc.) for verification purposes. You will receive an SMS notification once your voucher is ready for collection, and you will have 30 days from then to make the collection. There will no extension or replacement of rewards if you miss the collection period, so do remember to collect your rewards on time. Q23. What if I change my mind on the collection method? For postal delivery, changes to collection method will not be allowed. Q24. Can I replace my vouchers if they are lost, damaged or expired? Q25. What should I do if I did not receive my HPB Vouchers? If you have selected postal delivery, please allow up to four weeks for your vouchers to reach your designated address. For self-collection, you will be contacted within 10 working days to collect your voucher from the self-collection centre. Q26. How do I use my e-Vouchers? e-Vouchers, HPB or merchant-branded, will be accessible from your Healthpoint Rewards e-Wallet page. When you are ready to make your purchase, go to e-Wallet and select the e-Voucher to use. You will be prompted to confirm the use of your e-Voucher. This should be done in the presence of the cashier or merchant’s staff. Once confirmed, the e-Voucher code will be retrieved and you can present it to the cashier to offset your purchase value. Q27. What if I accidentally used my e-Voucher? Q28. Why can’t I find my e-Voucher in the e-Wallet? Your e-Voucher will not be in your Healthpoint Rewards e-Wallet if it has been used or expired. Check your "History"​ tab for the status of your e-Voucher. Q29. What are TapForMore points? How do I redeem for TapForMore points? TapForMore points can be used to enjoy instant price-off purchase, attractive vouchers and/or items at Cold Storage, Market Place, Giant Hypermarket and Guardian Health and Beauty stores under the Dairy Farm Group in Singapore. ​To redeem for TapForMore points, you need to own a PAssion EZLink Card. Set up your PAssion EZLink card on “My Linked Card” at the Healthpoint Rewards Profile page, by keying in your 16-digit CAN ID (found on the reverse side of your PAssion card). For more information and terms & conditions of TapForMore Rewards Programme, please visit www.passioncard.sg. Q30. When will I be able to receive the TapForMore points? Q31. How do I redeem for TransitLink e-Vouchers? You can redeem for TransitLink e-Vouchers by keying in the 16-digit CAN ID on your TransitLink Card (located at the reverse side) in the "My Linked Card" section in the Healthpoint Rewards Profile page. When you are ready to redeem, select the number of Healthpoints into TransitLink e-Vouchers and confirm your redemption. 150 Healthpoints is equivalent to $1 TransitLink e-Voucher. Q32. How do I know if my redemption is successful? Q33. What happens if I miss the collection period? Q34. Why am I asked to select a default card for auto-redemption of Healthpoints? Q35. What are the options available for default auto-redemption? Q36. How will I know if my Healthpoints have been automatically redeemed upon expiry? Q37. How can I set up my auto-redemption option? You can do so by checking on your selected option under "My Linked Card"​ in your Healthpoint Rewards Profile page. Q38. When will my expiring Healthpoints be automically redeemed? Q39. Will my Healthpoints expire? Yes, Healthpoints do expire. Any unredeemed Healthpoints will not be available for redemption use on the Healthpoint Rewards. ​Please check your Healthpoints Summary Page for latest Healthpoints expiry information. Q40. Can I transfer Healthpoints that I have earned to someone else? Q41. I have changed my mind and would like to cancel my redemption. Can you help me cancel my redemption? No cancellation or change is allowed for Healthpoints redeemed once you have submitted your request. Q42. I am a merchant. How do I register to accept HPB Vouchers at my store? Q1. How can I sign up as a merchant on HealthHub? Submit your business information via email at hpb_healthhub@hpb.gov.sg. Q2. What information do I need to provide? Please include the following details in your email to HPB. If your products/services meet HPB partnership guidelines, we will get in touch with you. Your website, if your business has one. Q1. Who can access myHealth? MyHealth is a service open to all Singapore citizens and Permanent Residents with SingPass access. Q2. I forgot my Singpass password or ID. Please consult SingPass on this matter. Q3. There are so many screenings with other public/private hospitals. Where are they? For the current release , we are only focusing on HPB's health screening programmes. We will consider including the rest of the screenings in the future releases. Q4. What does myHealth tell me? Your personal health and medical records are retrieved from our public health systems, and may only be accessed via your SingPass account. Lab Test Results – Results are only available for the listed chronic diseases: Diabetes Mellitus, Hypertension, Lipid Disorders, Nephritis/ Nephrosis, Schizophrenia, Stroke, Benign Prostatic Hyperplasia (BPH), Epilepsy, Osteoporosis, Psoriasis and Rheumatoid Arthritis. The Family Health feature enables parents to retrieve and view their children's health and medical records. Persons aged 15 years and above can view their own medical appointments across selected public hospitals, polyclinics and other healthcare institutions. Q1. What is a prescription record? It is the historical information of medications prescribed for you. Q2. Where does HealthHub get my prescription records from? HealthHub gets your prescription records from selected public hospitals, polyclinics and other healthcare institutions. Q3. Why isn't my prescription record complete? HealthHub only shows results from the past 12 months with the most recent prescription record on top of the list. The displayed information is retrieved from selected public hospitals, polyclinics and other healthcare institutions. The records are for reference only and may not contain all the details that are found in the prescription copy given to you. When taking your medications, please follow the latest instructions as advised by your healthcare professionals (e.g. doctors, pharmacists, nurses). Q4. Can I use my prescription records to buy medication at the pharmacy? The displayed information is NOT a prescription so you CANNOT use it to buy medications at the pharmacy. Q5. Why are (some of) my prescription records displayed with strikethrough? Prescription records which have been discontinued by clinicians from contributing facility are displayed with strikethrough. The prescription records are for reference only and may not be the latest or the most comprehensive. If you have medical concerns, you should seek professional medical advice of your physician and/or local healthcare providers. Q6. What is a Medication List? It is the most accurate list possible of all the medications that you are taking when the list is created. Q7. Where does the HealthHub mobile app get my Medication List from? HealthHub gets your latest Patient's Medication List which your healthcare professional (e.g. doctors, pharmacists, nurses) has shared with you. Please check with them for more information. Q8. Can I use my Medication List to buy medication at the pharmacy? The Medication List is NOT a prescription so you CANNOT use it to buy medications at the pharmacy. Q9. What should I do if my medications are different from my Medication List? Please follow the latest instructions as advised by your healthcare professionals (e.g. doctors, pharmacists, nurses) and talk to them about updating your Medication List. Q10. If I have more than one mobile device, will HealthHub app be able to transfer information in the Medications module to my other mobile devices? No, HealthHub app will not be able to transfer the information to your other mobile devices. 4. Currently enrolled in primary, secondary, junior colleges o​r centralised institutes. This excludes students in pre-schools, religious schools, private schools, polytechnics and universities. *At the point of application for PR or for Naturalised Singapore Citizenship, applicants below 21 years old must be sponsored by his/ her parent. In this case, the parent is recognised as the 'Sponsoring Parent'. Q1. Where does HealthHub get my lab results from? Lab Results are obtained from the Public Hospitals. Q2. Are my lab results updated? HealthHub only shows results from the past 3 years with the most recent lab test results on top of the list. Q3. Why aren't some of my lab results listed? Only Haematology, Bio-Chemistry tests as well as chronic tests are listed. For detailed individual report for the above-mentioned tests, patients have to refer to the report collected from the hospital as HealthHub only displays the final results. Q1. How do I view my screenings? 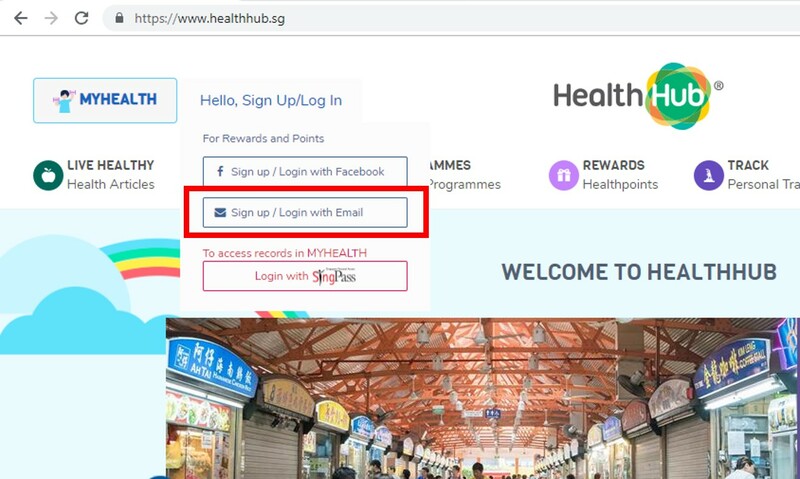 You will need to log in to myHealth using Singpass. Once logged in, select 'Screening Results'. Currently we only provide screenings for those who participated in Integated Health Screening. You should see your records if you have participated in the Integrated Health Screening programme with HPB. For details on how to join this program, visit the Health Promotion Board website . Q1. I went for a Health Screening at a public health institution recently, but I cannot find my screening result. If you had your screening done within the past 2-3 weeks, the records will appear when you receive the hard copy of the results. Q1. My screening results in HealthHub are not the same with what I have in hard copy. If you are facing issues with your screening results, please contact Health Promotion Board at hpb_healthhub@hpb.gov.sg. Q1. Where does HealthHub get my discharge information from? Discharge Information is obtained from the Public Hospitals. Q2. Is my discharge information updated? HealthHub only shows results from the past 3 years with the most recent discharge information on top of the list. Q3. Why isn't my discharge information complete? The displayed information is retrieved from the public hospitals' records. It may not contain all the details displayed in the Discharge Summary document. For complete details, please refer to the Discharge Summary document collected from the hospital. Q1. Where does HealthHub get my medical appointments from? Q2. Are my medical appointments updated? Q3. Why are some of my appointments not listed? Appointments for National Skin Centre appointments are not displayed. Q4. Why do I see appointments in HealthHub that do not appear on my appointment card? Q5. What can I do with HealthHub Appointments? View appointments for yourself, your child and your care recipient. Change appointments for yourself and your child. Cancel appointments for yourself and your child. Q6. What are the important points to note when changing my appointments? Ensure that you have sufficient supply of medication and check your Medical Certificate validity period, if applicable. Any special arrangements or tests that need to be done prior to seeing your Specialist should be completed and/or synchronized. Always bring along any necessary documents as previously instructed e.g. x-ray forms. Q7. I have a new medical condition. Can I use HealthHub Appointment to make the first appointment for this condition? ​​Currently, you may only use the HealthHub Appointment to view, reschedule and cancel existing appointments. To make a new appointment, at a clinic/institution which you have never previously consulted, please login to Singpass to submit an Online Manual Request Form and the respective healthcare institution will get back to you within 3 working days. This is a new e-service on HealthHub to enable individuals to share viewing access to their personal health and medical records with their designated caregivers. Q1. Who are eligible for this service? This service is available to all Singaporeans or Permanent Residents aged 21 years old and older. Q2. Will records from private sector healthcare providers be included as well? HealthHub draws health records from the medical records system of various public healthcare institutions, such as polyclinics and restructured hospitals. As we work towards a comprehensive one-stop platform for the healthcare needs of all Singaporeans, we will also release relevant and meaningful information to the public as it becomes available. Q3. I don't have a SingPass account. Can I still enable this service on HealthHub? This service will require you to sign-in via a valid SingPass account. Please find out more about SingPass at www.singpass.gov.sg. Q4. How many caregivers / care receivers can I add to my list? We recommend that you limit it to ten, so as to keep it to a manageable list. Q5. How do I enable this service on HealthHub? Login with your Singpass account and follow the steps required. You will be required to enter personal details of your caregiver, such as his or her NRIC number, email address and contact number for verification purposes. Upon successful completion, HealthHub will send your nominated caregiver an email notification within 7 working days. You will also receive a mail notification by post. Do remind your caregiver/s to access MyHealth to add your profile to his or her list of care receivers in the Family & Friends' section of his or her MyHealth page. He or she will be able to view your personal health and medical records immediately. Q6. What types of personal health and medical records will my designated caregivers have access to? We recommend that you regularly review your list of caregivers and the individual access that you give to them. Q7. I have changed my mind / made a mistake in granting access to my caregiver. How do I revoke access? Consent granted can be revoked at any time. Access MyHealth with your SingPass account and click on 'My Caregivers'. Select the individual from the list of caregivers and click on 'Edit'. Proceed to click on 'Revoke'. Upon successful completion of this action, the selected individual will not be able to view your personal health and medical records any more. Go to MyHealth, scroll down and click on 'Grant Access to Your Health Records'. Login with your Singpass account. Proceed to click on the (-) icon next to the individual. Upon successful completion of this action, the selected individual will not be able to view your personal health and medical records any longer. Q8. Why can't I grant access to my caregiver? Both of you must be at least 21 years old. If you meet all the criteria yet still encounter a problem, email us at hpb_healthhub.hpb.gov.sg, or call 1800 225 4482 for further assistance. Q9. Do I need a lawyer to grant consent to my caregiver? You do not need a lawyer to grant consent for your caregiver to have viewing access of your personal health and medical records on HealthHub. This is because your caregiver can only view the records you have elected to share. It is not to be treated as consent for him or her to make any decisions nor act on your behalf at any time nor in any area such as personal welfare, property etc. Read more about lasting power of attorney here. Q10. Is it compulsory for me to grant consent to my caregiver? Granting consent to a caregiver is a voluntary decision. It is entirely up to you if you wish to enable this service via HealthHub. Q11. Do I have to pay to grant consent to my caregiver? Q12. Who will know whether I have granted consent to my caregiver? What if I only want to grant consent to a select few but not all of my caregivers? Q13. I am a caregiver and would like to access my care receiver's health records. How do I apply? The decision to grant access to view any personal health and medical records belongs to the individual care receiver. Caregivers are encouraged to discuss with their respective care receiver if they wish to gain access to view the records. Q14. I received an email to notify me that I have access to view my care receiver's health records, but I am still unable to do so. What happened? Your care receiver has decided to change his or her mind about granting you the access. Please contact your care receiver personally to clarify. There is a technical error in the system. Please try again in the next 3 working days. Should the problem persist, email us at hpb_healthhub.hpb.gov.sg or call 1800 225 4482 for assistance. Q15. Can I decline to view other's health and medical records? Yes, you can choose not to view. As long as you do not add the individual to your Family Friend's Health section, you will not be able to view or receive any notifications for that individual. Q16. I have changed my mind about being the designated caregiver, can I remove the individual from my list of Family Friends? Yes, you may choose to delete anyone from the list at any time. 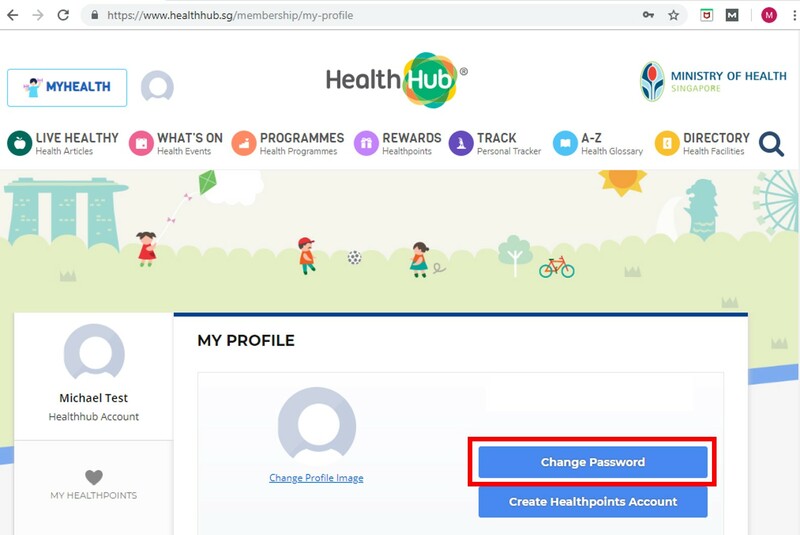 Once you have deleted the individual from your Family Friends' Health section on your HealthHub account, you will not be able to view or receive any notifications related to that individual. Q17. Why do I only see my care receiver's appointments and nothing else? Your care receiver can choose the levels of access for you to view and has elected for you to only view his or her future appointments. Q18. What rights do I have after my care receiver has granted consent to me? The consent granted to you on HealthHub should not be mistaken for a lasting power of attorney. It simply means that your care receiver has granted you consent to access and view his/her personal health and medical records on HealthHub. You are not permitted to make any decisions nor act on behalf of your care receiver at any time nor in any area such as personal welfare, property etc. Q19. Do I have to pay to view my care receiver' s personal health and medical records on HealthHub? Q1. What information can I find on the Children's Health page? Children's Health is a section in the HealthHub mobile app and web portal. You will be able to view and update information like your child's height and weight, developmental milestones and birth information. For school age children, you will also be able to view your child's health records, oral health and immunisation records if available. Q2. Is this going to replace the hard copy Health Booklet? What is the difference? No, this is to supplement the hard copy Health Booklet and help parents to track and monitor the development and growth of their child in HealthHub. HealthHub also provides relevant information on child development and growth as well as reminders on relevant milestones of your children. Q3. Do I still need to bring the hard copy Health Booklet when my child visit the clinic for immunisation/vaccination or developmental assessment? Yes, please bring the hard copy Health Booklet to the clinic so that the doctors/nurses can record the vaccinations given or the outcome of their assessment in the hardcopy Health Booklet. Q4. When or how often do I need to update the milestones in the mobile app? You are free to visit HealthHub as often as you wish. We encourage you to update the milestones regularly. You will also be prompted to update based on relevant milestone according to your child's age. Q5. When or how often do I need to enter the growth information like height and weight in the mobile app? As a child’s growth pattern varies quite a lot over the various age-groups, there does not seem to be standardised recommendations for frequency for measurements. Generally, the recommendations seem to be that the growth should be measured as part of the scheduled well-baby and well-child health visits. Please consult your doctors/nurses. As for school-age children, the recommendation is to measure 6-monthly or yearly. Q6. Will the system remind me on when and what to do? How often will I be reminded? Yes, the system will notify you on relevant milestones for your child based on their age, growth related information as well as recommended readings via push notification on your mobile device. We encourage you to subscribe to the HealthHub push notification services to be kept updated on this. Below is the push notification schedule. The push notification will only be sent when there is item to notify parents on. Q7. How do I enter or view my child's birth information, developmental milestones and growth chart in the mobile app? You have to download the HealthHub mobile app and add a child in the myHealth selection under Family health. Click add a child, enter his/her birth certificate/NRIC and click verify. You can give your child an alias or name and upload a picture on his avatar. Q8. I cannot enter my child's birth information, developmental milestones and growth chart on HealthHub Portal. Why? The HealthHub Portal is for viewing of information only. You have to download the HealthHub mobile app to enter the information. Q9. If my child is not meeting the milestone, what should I do? You should seek the advice of your doctors/nurses during the scheduled developmental assessment of your child. Q10. When I click on Growth Charts, the system display the error U0011. What does it mean? This error is caused by incomplete information about the child such as incomplete Date of Birth or Gender. You may refer to the 'Contact Us' section to send us your feedback. Q11. When I enter my child's growth information, the system shows that the measurement is out of range. What does it mean? It means you may have entered a value that is not within the valid range for that measurement item (e.g. head circumference, height, weight). Please check the value and re-enter again. Q12. When I enter my child's growth information, the system shows that the measurement is in the low range. What does it mean? Based on our local growth charts, your child is short when compared with others in the same age-group. You may wish to check with and seek advice from your doctors/nurses. Based on our local growth charts, your child is underweight when compared with others in the same age-group. You may wish to check with and seek advice from your doctors/nurses. Based on our local growth charts, the size of your child's head is small when compared with others in the same age-group. You may wish to check with and seek advice from your doctors/nurses. Q13. When I enter my child's growth information, the system shows that the measurement is in the high range. What does it mean? Based on our local growth charts, your child is tall when compared with others in the same age-group. You may wish to check with and seek advice from your doctors/nurses. Based on our local growth charts, your child is overweight when compared with others in the same age-group. You may wish to check with and seek advice from your doctors/nurses. Based on our local growth charts, the size of your child's head is large when compared with others in the same age-group. You may wish to check with and seek advice from your doctors/nurses. Q14. What does the percentile on the growth charts mean? The percentile for each measurement item indicates how your child's measurement compares with others in the same age-group for that measurement item. For example, if the height percentile for your child's measurement is shown as 75% - this indicates that your child is as tall as or taller than 75% of children in the same age-group, whereas if the height percentile is shown as 10% - this indicates that your child is as tall as or taller than only 10% of children in the same age-group. The same applies for the percentiles for the weight, BMI or head circumference. Q15. Should I show the milestones and growth charts I entered to my doctors/nurses? Yes, as this will help the doctors/nurses in their assessment. Q16. Is my husband/wife able to view and edit my entries for my child? Yes, parents are able to view and edit each other's entries for the child after they have successfully added the child in the myHealth under Family Health. Q17. Can I view the immunisation/vaccination records and developmental assessment entered by the doctors/nurses for my child in Children's Health? Immunisation/Vaccination records submitted by doctors/nurses to HPB National Immunisation Registry can be viewed here. Developmental assessment data is not available at the moment. Q18. Am I able to download/print the information from Children's Health? You may capture a screenshot on your mobile device or print the page using the browser on your computer. Q19. How long will my entries in Children's Health be kept? Your entries will be kept permanently in HealthHub. Q20. Why do I keep seeing error code I0003? Error code I0003 is shown if HealthHub fails to retrieve any record details for that child. If this error persists, please contact Health Promotion Board at hpb_healthhub@hpb.gov.sg. Q21. I received a push notification from HealthHub informing that my child has upcoming vaccinations. What must I do? Immunisation protects children from vaccine preventable diseases. Please schedule an appointment (on or after due date) with your doctor today. You may view your child’s immunisation records in HealthHub Children’s Health. Q22. I received a push notification from HealthHub informing that my child has missed vaccinations. What must I do? Immunisation protects children from vaccine preventable diseases. Please schedule an appointment with your doctor today. You may view your child’s immunisation records in HealthHub Children’s Health. Q23. I received a push notification from HealthHub informing that my child has missed vaccinations. According to the doctor, my child has completed all his/her immunisation. Why am I receiving the push notification? If your child has completed the immunisation, please send a copy of the immunisation record to National Immunisation Registry (hpb_nir@hpb.gov.sg) for updating. If your child’s immunisation record is not in English, please translate the record into English and send a copy of both the original as well as the English translation of the immunisation record. Please indicate your child’s NRIC, full name, date of birth and your contact phone no. in the email. Q24. My child has completed the immunisation overseas. What should I do? If your child has completed the immunisation overseas, please send a copy of the immunisation record to National Immunisation Registry (hpb_nir@hpb.gov.sg) for updating. If your child’s immunisation record is not in English, please translate the record into English and send a copy of both the original as well as the English translation of the immunisation record. Please indicate your child’s NRIC, full name, date of birth and your contact phone no. in the email. Q1. I am not receiving any push notifications from HealthHub. What should I do? User is required to Login with SingPass with the NRIC which he/she wants to receive push notifications with. For Children's Health's notifications, ensure that the user has added the child in HealthHub. Q2. Why are there two of the same health record types for the same child of mine? This is possibly because there are amendments from the doctor/nurse regarding your child's health. A new notification was therefore sent out to notify you to look at the new record and PDF. Q3. The push notifications from HealthHub are too frequent and irritating. How do I stop receiving these push notifications? Q4. If I disable my push notifications, is it still possible for me to view notifications from HealthHub? o Ensure Notifications settings in HealthHub app is ON. Tap on 'Notifications' menu to view all messages with regards to your child's health here. Q5. Why do I not see the 'Notifications' menu or 'Settings' menu in the HealthHub app? Please update to the latest version of the HealthHub app and try again. Q1. What bills can I pay for? Q2. Whose hospitals bills can I pay for? Q3. I have visited the hospital today. Why am I not able to see my bill in HealthHub Payments? You will only be able to view outstanding bills. Billing information is available for viewing online only upon finalisation of the bill by the respective healthcare institutions. Q4. What is the currency for the bills shown in HealthHub Payments, and what is the currency for payments? All bills shown are in Singapore Dollars. For credit cards using foreign currencies, the exchange rates will follow the bank’s prevailing rate. Please check with your bank for any other fees and charges tied to international transactions. Q5. How much does it cost to use the service? Are there any administrative or transaction fees? There is no administrative or transaction fee incurred when paying through HealthHub Payments. Q6. What are the available payment modes? Payments via Visa/MasterCard credit cards and Direct Debit. Q7. Is there any minimum payment amount? If yes, what is the amount? The minimum payment is SGD $1 for every institution per transaction. Q8. Is there any maximum payment amount? If yes, what is the amount? As payment is made using your credit or debit card, the payment limit is determined by your available credit or debit spending limit accorded by the issuing bank. Payments made via direct debit is dependent on your bank account or payment limit, if any. Q9. How long will it take for a payment to be reflected? Payments will be reflected the next day. Q10. Will I be issued with an official receipt for my online payment, either by HealthHub or by the respective healthcare institutions? No receipt will be issued for payments using HealthHub Payments. However, you may print or take a screenshot of the transaction confirmation screen, containing the transaction ID, for your record. A transaction confirmation will also be sent to your email upon successful payment. Q11. Who should I contact if I have further enquiries on my payments or bills? Q12. Are all the payments made through HealthHub payable to HealthHub itself? If not, to who? Payments made through HealthHub are made directly to the respective billing organisations via secure payment solution, and subject to terms and conditions imposed by external parties. HealthHub is not liable for any payments issues made through it. For the list of billing organisations or further enquiries, please refer to Q11. Q13. Why am I not able to see the payment mode for eNETS Direct Debit? Currently, eNETS Direct Debit payment mode only supports payment for 1 healthcare institution at one time. Please be reminded to stay vigilant and proactively protect your online identities. Use strong passwords for your online accounts and refrain from using the same password for different websites and applications. If you haven't done so, we strongly advise that you reset your passwords as a preventive measure. If you notice an unusual/unauthorised activity or transaction not performed by you, please call the HealthHub contact center at 1800 225 4482. Alternatively, you may send an email to hpb_healthhub@hpb.gov.sg. 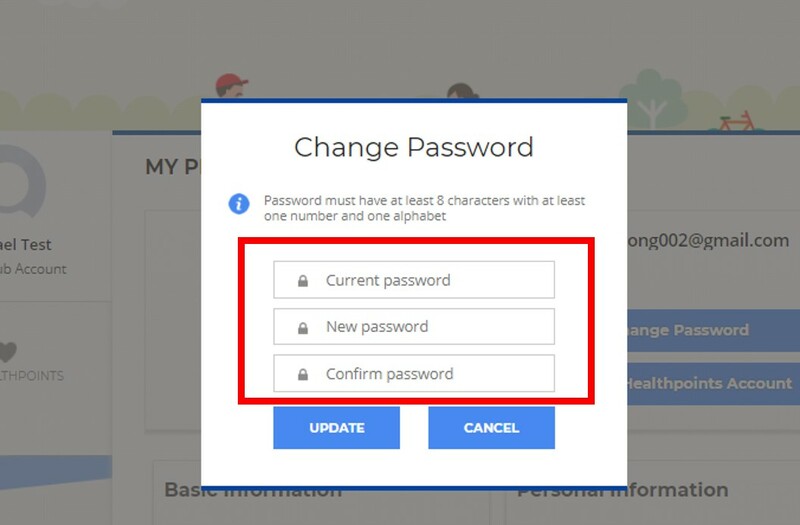 ​Step 4: Click on "Change Password"
​Step 5: Enter your current and new passwords. Click on "Save" and you are done! ​Step 3: Click on Your Profile icon on the top-left. In the drop-down, click on "Edit Profile". ​Step 4: Click on "Change Password" in your Profile page. ​Step 5: Enter your current and new passwords. Click on "Update" and you are done!